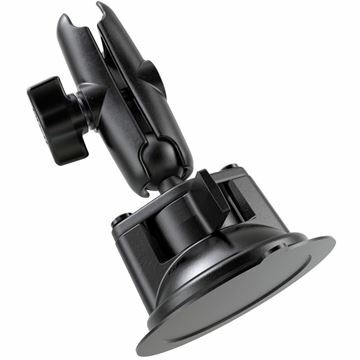 Hummingbird Electronics stock a range of RAM Mounts' suction cup mount components such as ball mounts, suction bases and twist lock suction arms. 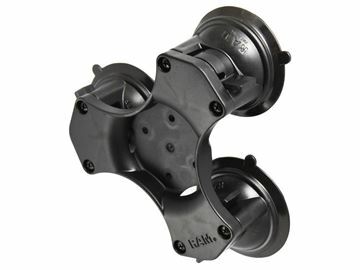 The RAP-365-224-1BU consists of a triple 3.3" twist lock suction cup base with plate that contains the universal AMPs hole pattern. 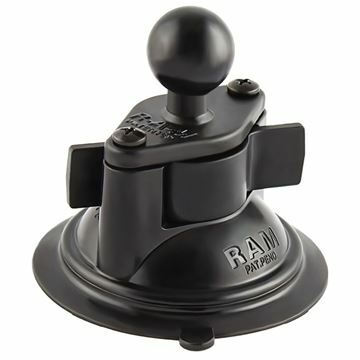 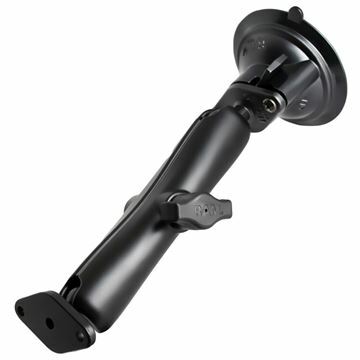 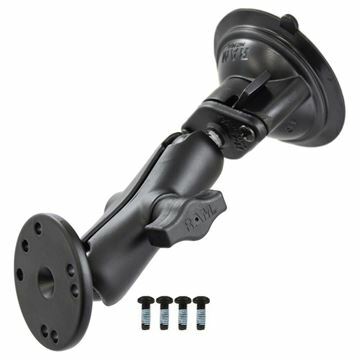 The RAM-B-166-202U consists of a 3.3" suction cup twist lock base, STANDARD length double socket arm and round base adapter that contains the universal AMPs hole pattern.